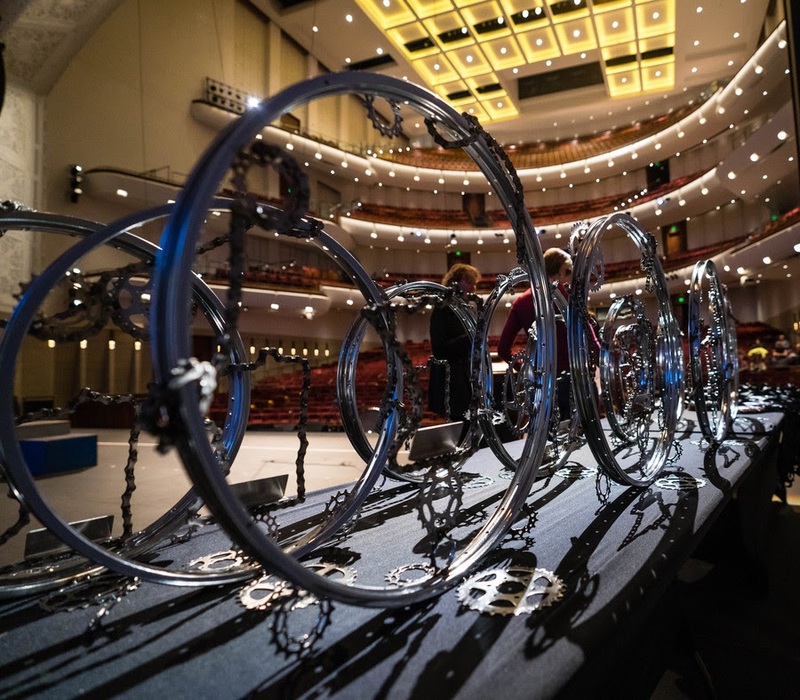 Over 2,500+ people attended the MN High School Cycling Leagues annual Year-End Ceremony at Northrup Auditorium, on. Fri. Nov. 9, to celebrate and reflect on an amazing and historic season. Since 2012, when the MN League launched, each year, strategic changes or additions have been made to move the MN League forward to getting #morekidsonbikes. Over the years, they have added races to the schedule, included middle school aged riders to the program, introduced a bye-week schedule and moved to ability-based racing. 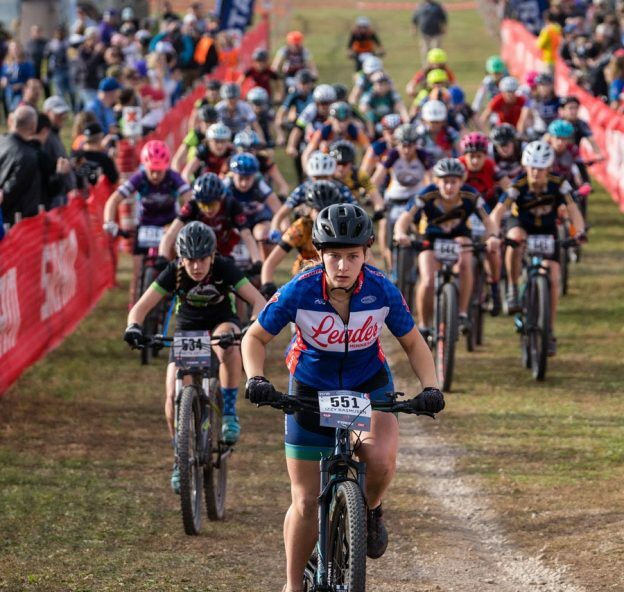 For 2018, they piloted the Giant Bicycles Dirt School Spring Riding Program, created divisions in middle school, added the Framed Bike Skills Challenge event and added an additional race date and bye-week to the schedule. As the MN League grows in size, schedule and program changes are done to accommodate and accelerate this growth. 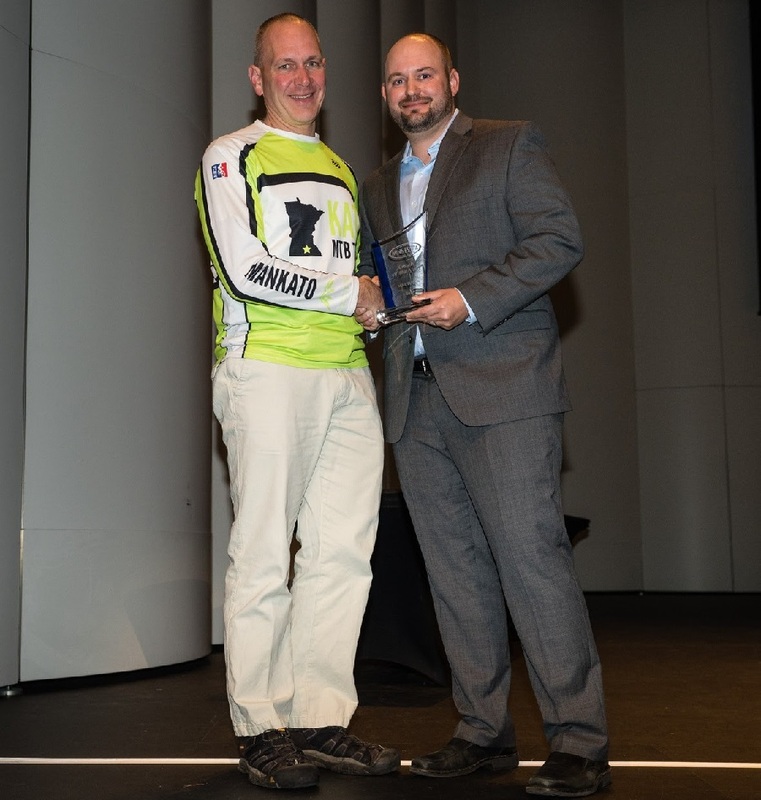 In 2018, ending the season in Mankato with almost 1,600 riders, the MN Cycling League became the second largest mountain bike league in the nation. With over 25 NICA leagues across the nation, MN is part of a growing movement with the National Interscholastic Cycling Association (NICA). The MN League has become more than a racing program, it has become a youth development program. Each year the MN League adds hundreds of new student-athletes, coaches, volunteers, and spectators. Who’s ready for 2019? To celebrate the accomplishments of all, each year, four students are selected to offer their thoughts and thanks to coaches, volunteers, parents, and their fellow teammates. 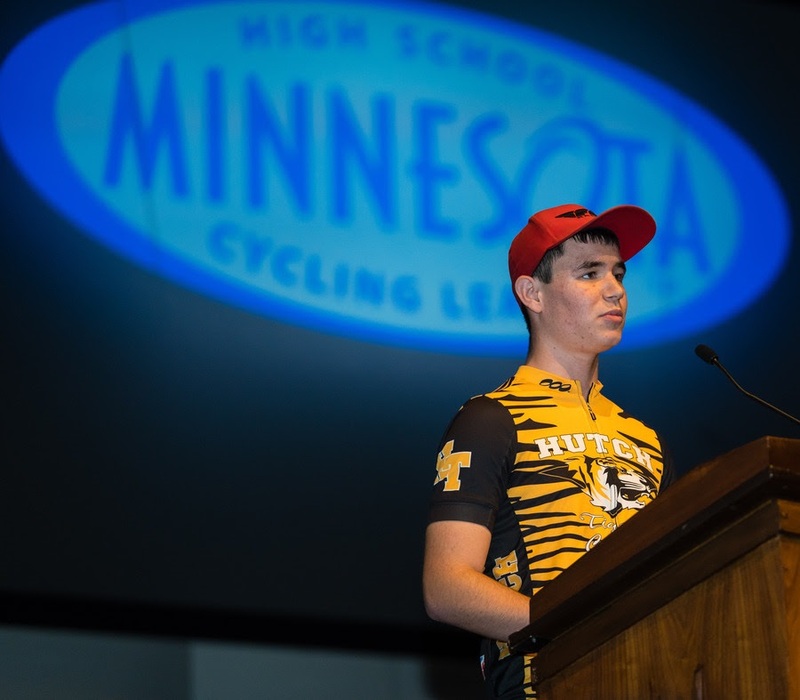 This year, Jaden Neimeyer, from Hutchinson offered his thoughts on volunteers, Olivia Fox from Wayzata expounded on the impact of the coaches, Grant Hietpas from Stillwater thanked all of the parents, and Vladimir Lind from Burnsville shared his positive reactions from being part of the MN mountain bike community. As the crowd clapped and cheered for these four amazing students, the lights dimmed in preparation for the season-ending video from Todd Bauer at tmbimages.com. The 2019 race schedule of the MN Cycling League was well received by the entire audience. As the dates and locations were announced, cheers erupted from the crowd. The new race location, just south of Hayward, WI, brought on the largest reaction. 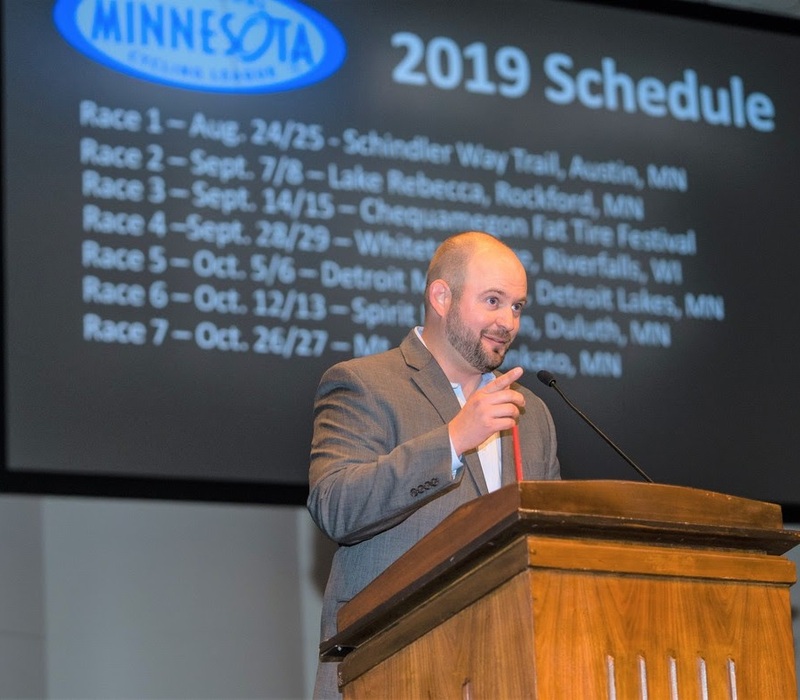 In 2019, the MN League will hold their own race during the Fat Tire Festival Weekend. More details on this race are coming, but it will be separate from the Short and Fat race. Exciting changes to the program include the addition of 6th-grade riders to the middle school program and instead of having one day of racing, the MN League is moving to a two-day race weekend which will allow a pre-ride of the course on both Saturday and Sunday. Middle school races will be held on Saturdays and High school races will be held on Sundays. Watch for more details on these exciting changes. The MN League respects their student-athletes and acknowledges their efforts to achieve a podium spot, however, the MN League takes this evening to celebrate a number of people who might not achieve a podium spot and their actions have set examples for others through their courage, determination, leadership or sportsmanship. Congratulations to all on a successful season! Final overall individual results are now posted to the website. Full Individual results for Varsity, JV2, JV3, Freshman and Middle School. Final overall team results are now posted to the website. Full Team results for D1 and D2. View Photos. Photo Credit: Todd Bauer and David Markman – MN League Official Photographers. Please take a minute to review our list of local and national sponsors. With their support, we are able to offer our youth development programs. When considering a purchase, be sure to visit and thank our sponsors for their support. Please encourage them to continue supporting the MN League and our student-athletes. 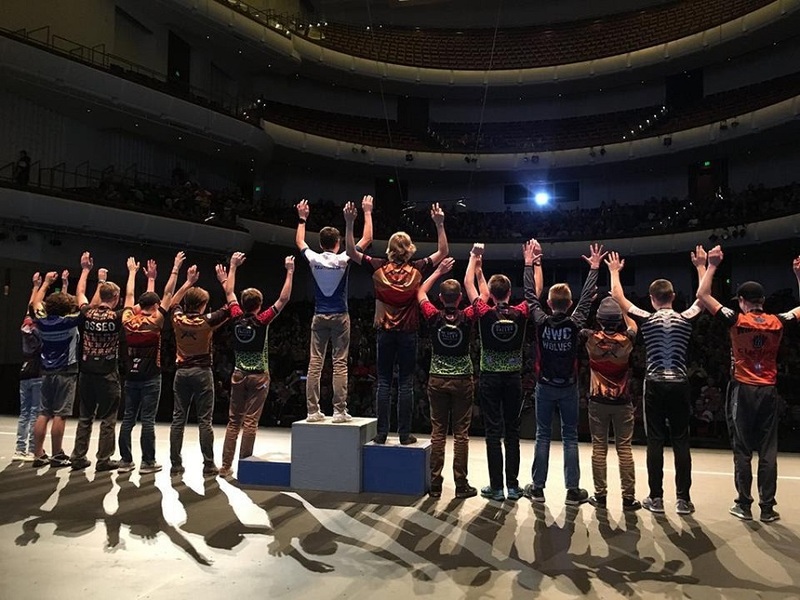 This entry was posted in News and tagged MN High School Awards, MN High School Cycling League, Mountain Biking, National Interscholastic Cycling Association, NICA on November 16, 2018 by Russ Lowthian.